Check out our full review of the Nokia Lumia 928 smartphone. There can’t be many mobile enthusiasts who aren’t aware Nokia will be releasing a new Lumia smartphone later this month, but that hasn’t stopped it drip-feeding us with new information about it every few days. Earlier this week, we enjoyed a video showing the Lumia’s impressive low-light video performance, using footage of a nighttime roller coaster ride as evidence, and now we’ve got another video to see, plus a render of the device itself. You can see the picture above, and as it has been published on the Lumia 928’s teaser webpage, we have to assume this is what we’re looking at. It bears a striking resemblance to an image of the phone leaked some weeks ago, right down to the speaker grill, 4G LTE logo and new xenon flash unit. While the chassis definitely looks slimmer than the Lumia 920, it’s difficult to make out the material from which it has been made. Will it have a metal body, or is this another polycarbonate phone from Nokia? The answer may come on May 14, when Nokia is holding a press conference in London, but if the Lumia 928 is a Verizon exclusive, its reveal may have to wait until May 22. Instead, the GSM Lumia 925 could take center stage in London next week, but as they’re likely to be very similar, we should get a good idea of the 928’s spec. In the meantime, you can enjoy another of Nokia’s, “Filmed with Lumia” promo videos. This time, the smartphone is attached to a radio-controlled helicopter, which records some of the stunning scenery in British Columbia. 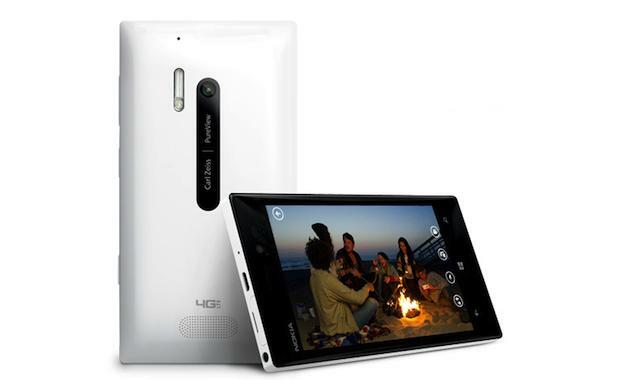 It’s designed to not only show off the video camera’s abilities, but also the image stabilization software – first seen, controversially, on the Lumia 920. It all looks fantastic, and requires more than one viewing to appreciate this is a recording made by a phone we’re seeing. Finally, Nokia has also giving eager prospective Lumia owners the chance to register with them for updates. We can’t wait to find out more on May 14.